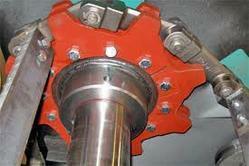 We are the leading organization in the industry to provide our clients the best quality array of Wet Scrapper Conveyor. The normal function of a chain sprocket is not only to drive or be driven by the chain, but also to guide and support it in its intended path. Sprockets For Wet Scrapper Conveyor manufactured from good quality iron castings are Suitable for the majority of applications. Wet Scrapper Chain are used to handle granular and medium lumpy materials such as ores, coal, carbide and similar materials. 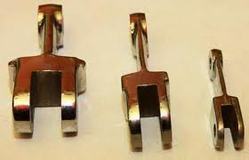 The most common design is that of a Double Strand Link or Pin & Bush type chain with scrapper plates mounted in between. 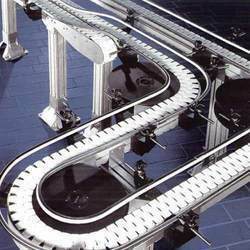 Special purpose chain conveyors are also manufactured to suit individual requirements. Looking for Wet Scrapper Conveyor ?